Sitting at a desk all day long can be challenging, especially when 3 p.m. rolls around and you need a little something to eat. Our first inclination is to head to the break room and dig through the remnants of the last office celebration, but cookies, candy, and cake are not the sustenance we need to get through to the end of the day. Instead, we should be reaching for nutritious, low-calorie snacks with lots of protein (and not too much sugar) to help us last until happy hour, spin class, or an evening of binge-watching. Below, you'll find a list of the best healthy snacks for work that are not only good for you but will also keep you awake and active well past 6 p.m. Check out the healthy snacks stashed in our desks below! 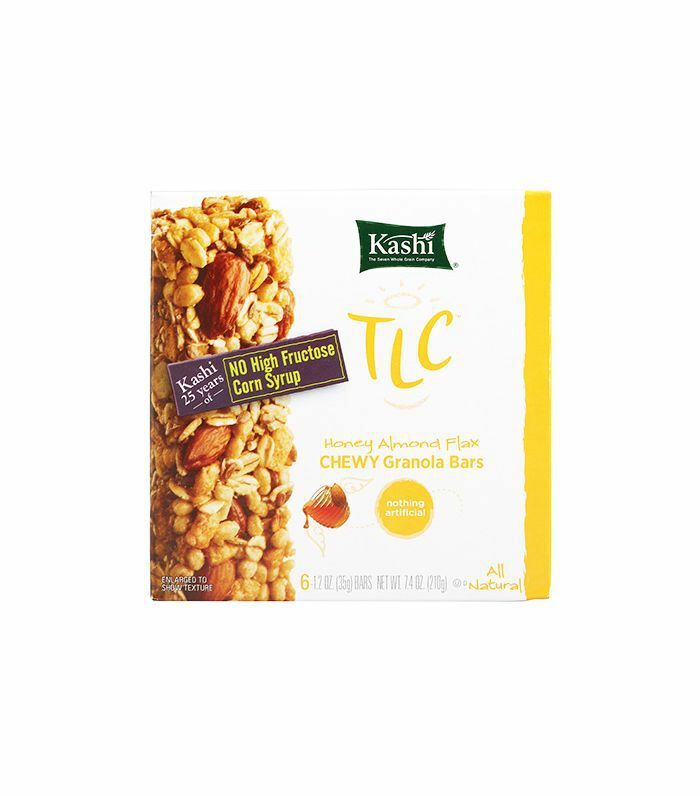 Whole grains, roasted nuts, dried fruit, and honey come together in one chewy bar to beat all other chewy bars. 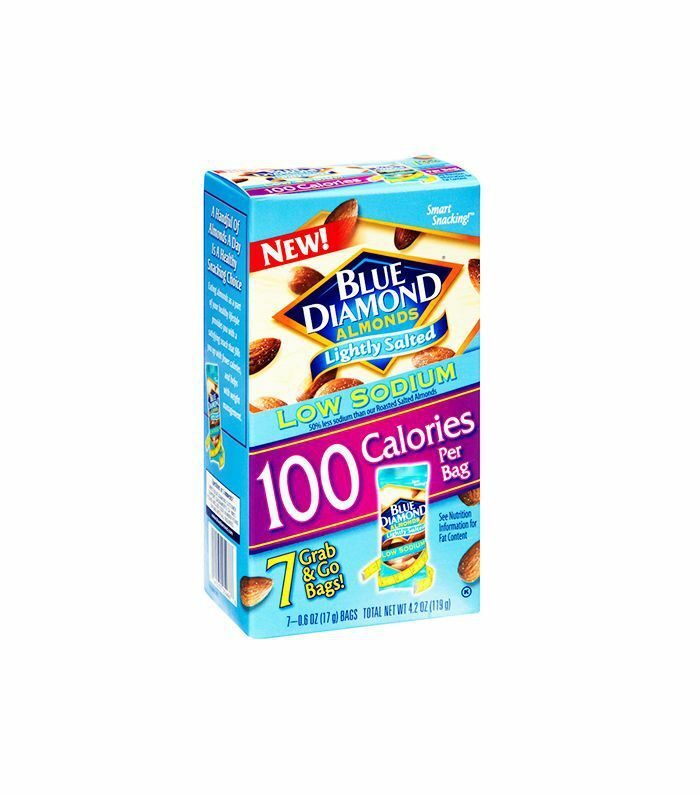 Free of highly refined sweeteners and artificial ingredients, this snack helps you satisfy your craving without the guilt that comes with yogurt-covered pretzels, birthday cake, or the other sugar rush–inducing items found in the lunchroom. 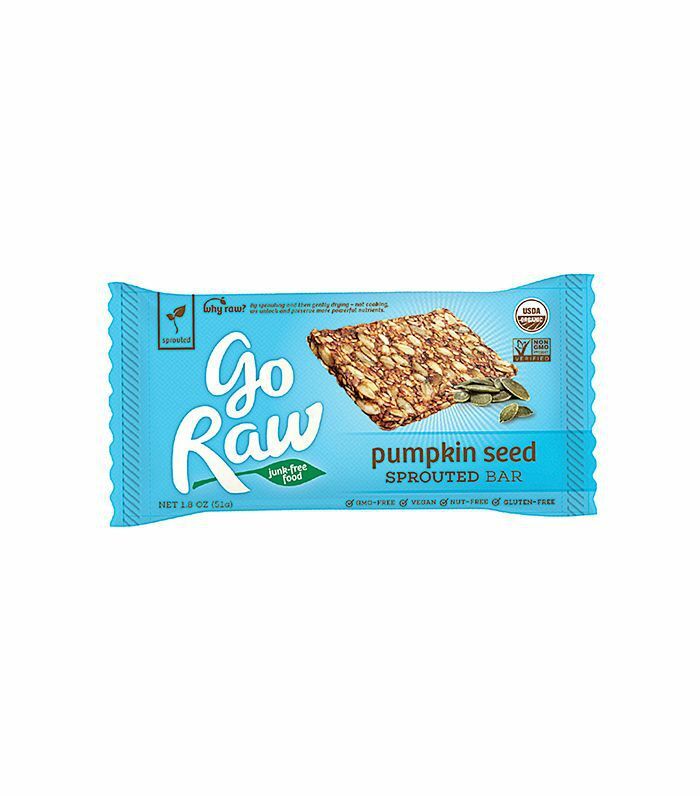 Get healthy and go raw—with a Go Raw Live Pumpkin Bar, that is. Whole sprouted pumpkin seeds give it a hearty crunch, while the dates keep it soft and chewy, making this the perfect snack for those who want something that's delicious but not too sweet. At 3 p.m., are you looking for a crispy, salty snack that will keep you satisfied until dinner? We feel you. 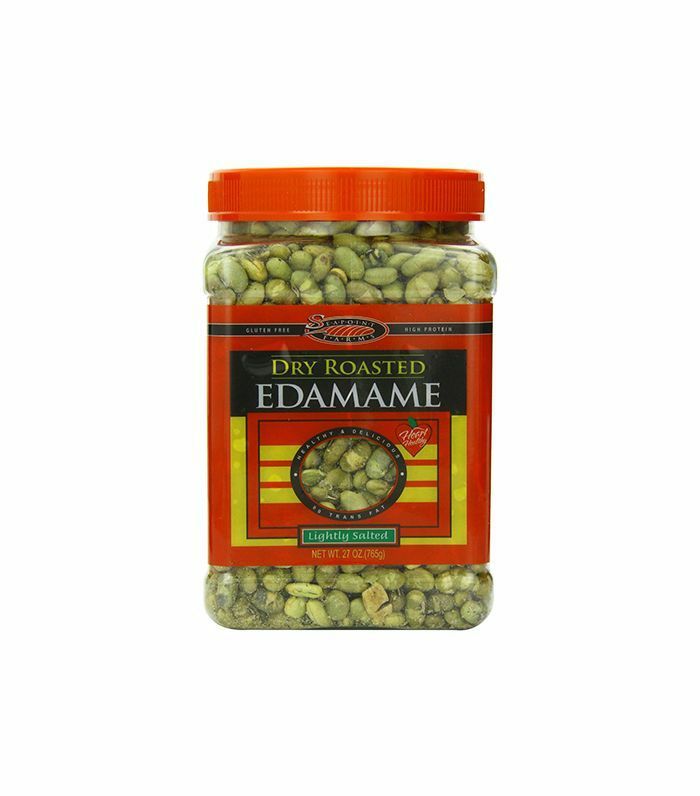 Next time, reach for Dry Roasted Edamame from Seapoint Farms. 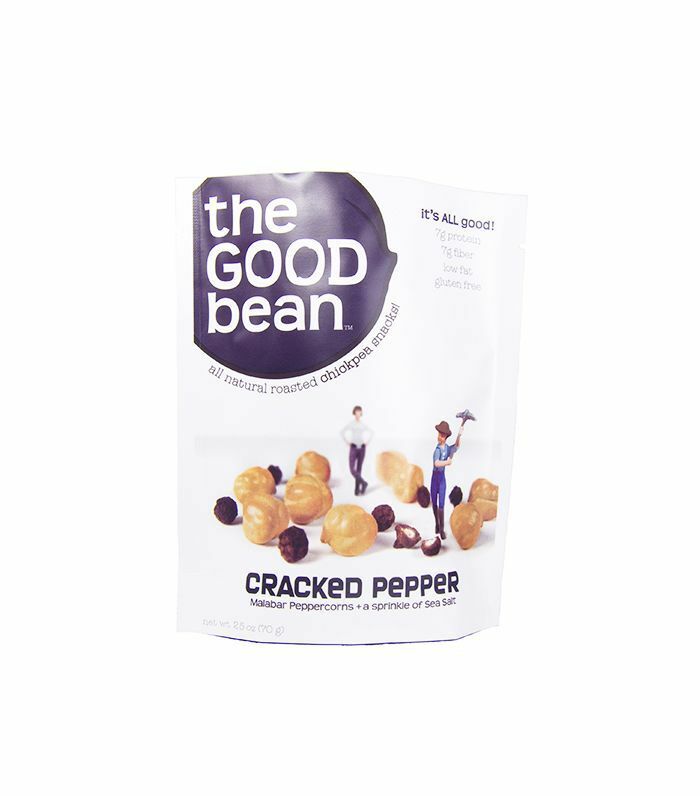 Since this snack is dry roasted (aka without oil), the fat count per serving stays in a reasonable range. Plus, with tons of filling protein, this afternoon snack truly satisfies the grumble in your stomach. 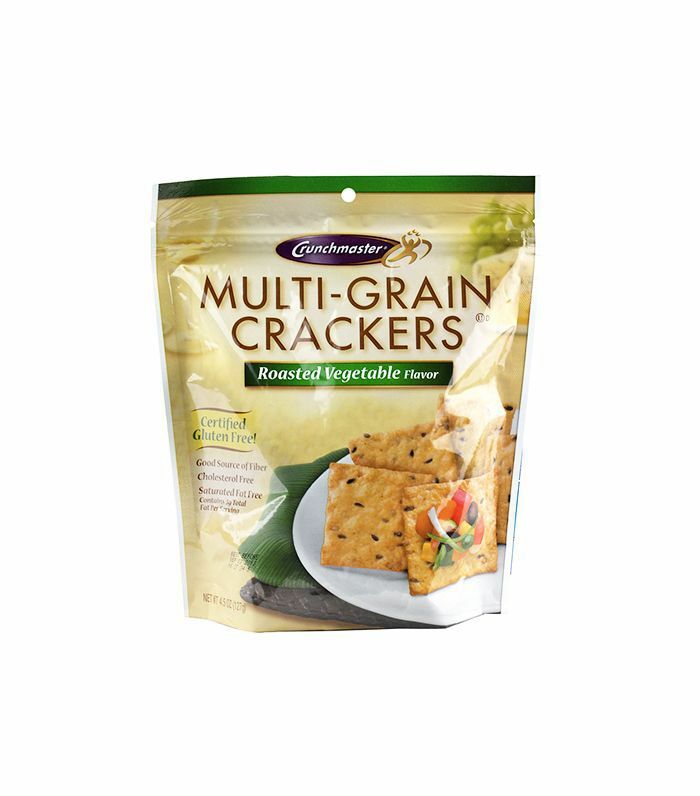 These crunchy crackers are packed with healthy seeds including sesame, flax, and quinoa. Baked not fried, they're lower in fat than other crunch-filled options. Plus, they're gluten-free! These portioned almond snack packs are a great way to fulfill your roasted-nut dreams, meaning you can down an entire bag without inhaling a day's worth of calories. 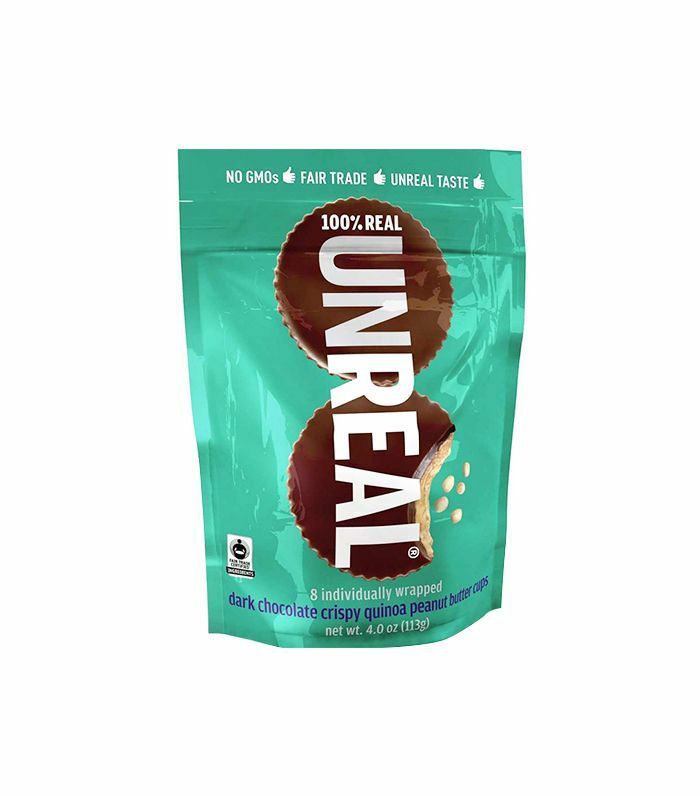 Bonus: There are enough nuts in the bag to make you feel like you've had a real snack, unlike some of the other 100-calorie treats out there. 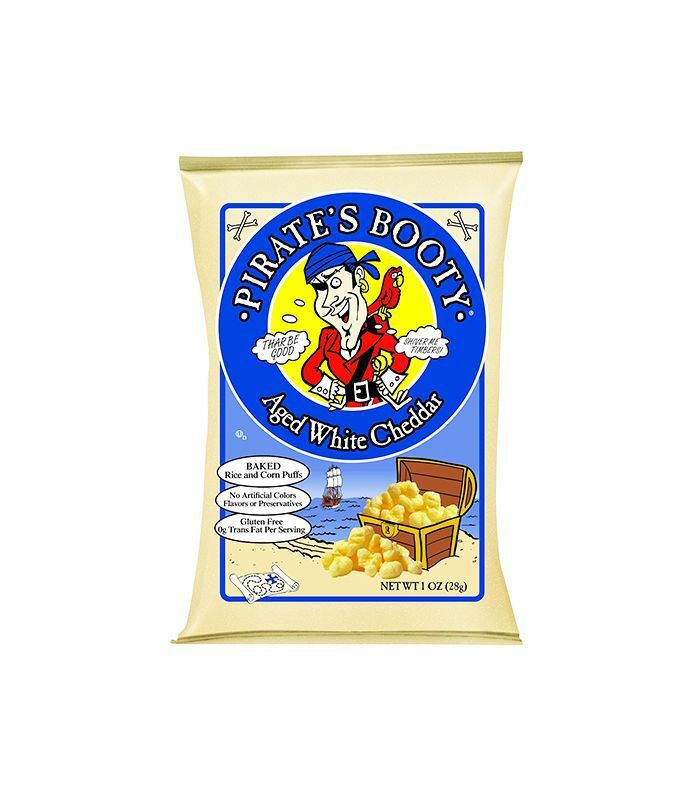 Pirate's Booty means never having to say goodbye to cheese popcorn. Made from puffed rice, aged white cheddar, and corn, this snack carries fewer calories and doesn't have those pesky kernels that get stuck in your teeth. 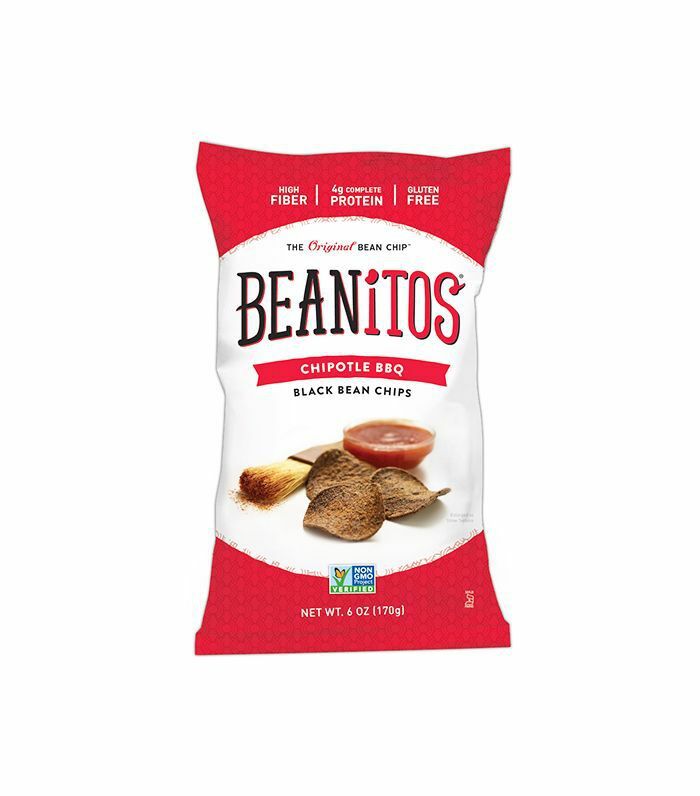 Chips as a snack or a side have never been a healthy option, but thanks to the combination of whole black beans, long-grain rice, and pure sunflower oil, these yummy chipotle-flavored treats have found a new place at the table. These roasted chickpeas pack seven grams of protein, five grams of fiber, and only 140 calories per serving, making us rethink the whole chickpeas-are-only-good-in-salad theory. Sometimes you just need something chocolaty. And these peanut butter cups make a great replacement for Reese's, with 20 grams less sodium and three grams less sugar. What's your favorite healthy snack to keep in your desk? Tell us in the comments below!